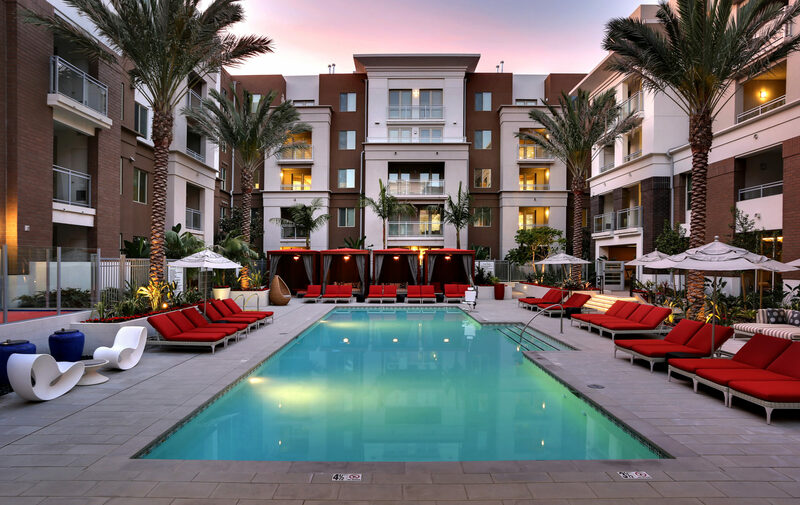 West Park, the resort-style apartment community in San Diego, CA, features 612 apartments, three pool areas, a 10,000 sf recreation center, theater and much more. 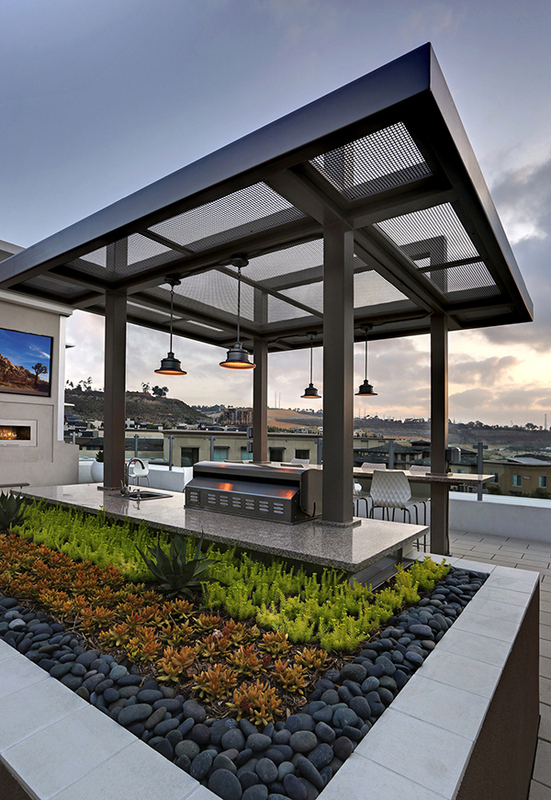 The landscape setting was designed to complement the residents’ casual, playful and active lifestyle. 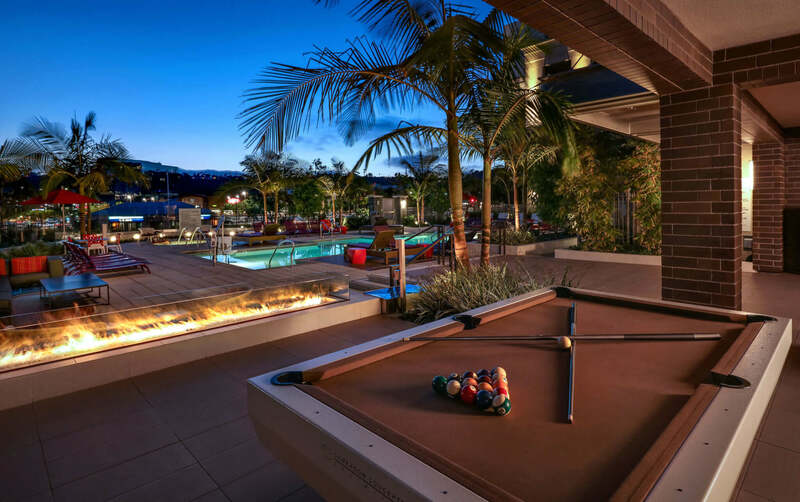 Plenty of gathering places such as well-appointed outdoor lounges, rooftop decks, BBQs, shuffleboard, a pool table, multiple fire pits, shaded patios and other amenities encourage a comfortable interaction among friends, neighbors and family. 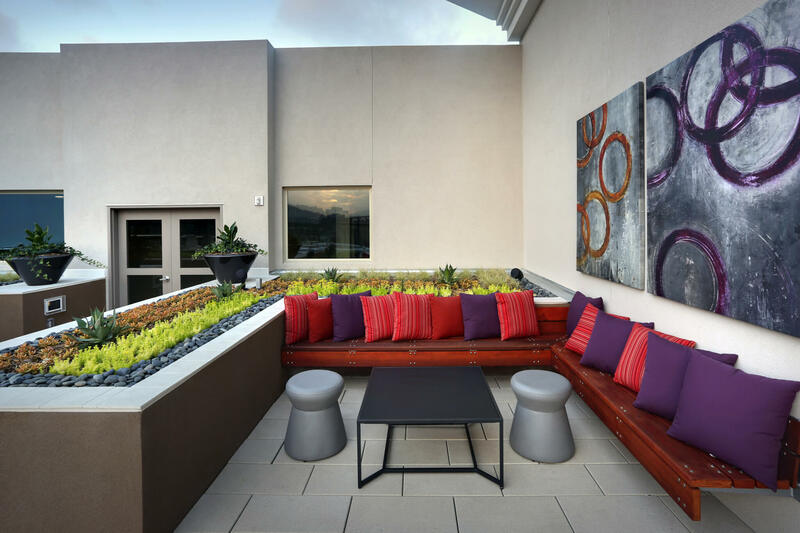 A private park with a half-mile trail and exercise stations provides another opportunity for residents to fully enjoy the spacious areas offered at West Park. Three uniquely designed saltwater swimming pools with cabanas and comfortable chaises and tables provide both ample shade as well as opportunities for private conversation and relaxation. 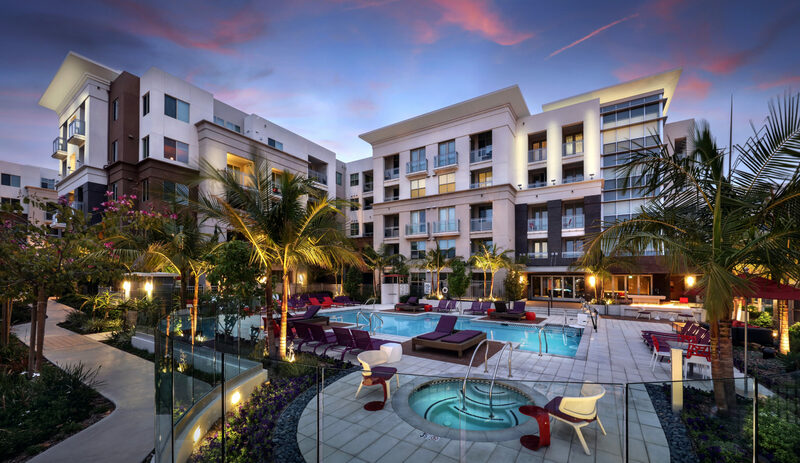 The contemporary design character emphasizes the colorful, verdant and water-sensitive landscape environment, while the cohesive palate of hardscape and softscape materials harmoniously combine to create a community that promotes a resort lifestyle experience.